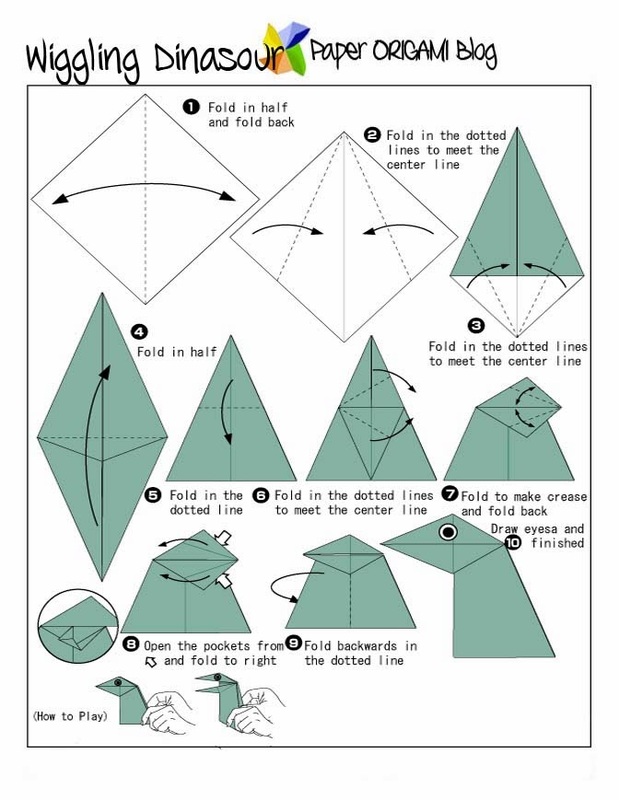 Dinosaur Origami- Plenty of kids are fun in dinosaur, I don't know if they are curios about it or what is the reason behind, the fact is dinosaur really fun for children. In fact, there are numerous movies and cartoons about dinosaurs. 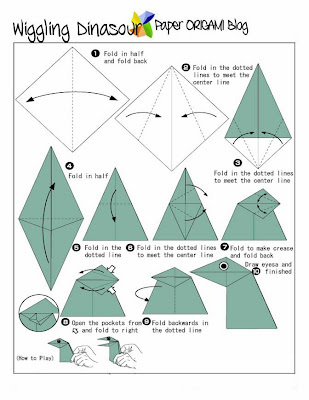 Here is a diagram of dinosaur origami. Enjoy!